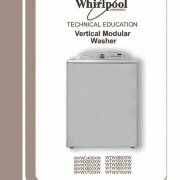 For the two newer styles of Whirlpool built top loading washers take a look at these repair guides. Remove the console screws or release console clip, depending on your washer style. Unplug the washer’s lid switch. Remove the washing machine’s cabinet clips. Tip the washer cabinet off to the front. Nothing is better than good observation skills! With the washer cabinet removed it will be easier to see what you are dealing with! The top portion of a two part washer agitator should turn freely only in the clockwise direction. the 4 agitator lock cams “Agitator Dogs” are probably worn out. The “dogs” should have small teeth on their outside edge to engage the inner wall of the washer agitator. Replace the washer agitator dogs as a set. 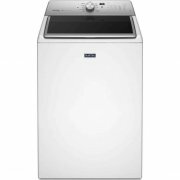 Older washers will agitate but not spin with the lid open. 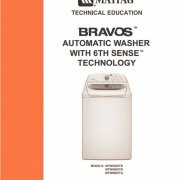 Newer washers will not agitate or spin with a broken lid switch. 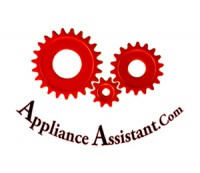 Listen for the faint click of the washer lid switch or test with a voltmeter. 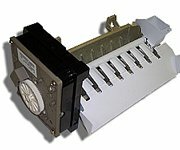 Hinge activated switches can be replaced from the top without washer cabinet removal. If the washer lid switch appears to be unbroken and functioning, look closely for a problem with your washer lid hinge or lid plunger. The timer is rarely the cause of problems on these washers. 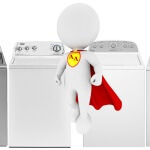 The washer timer is expensive and commonly misdiagnosed. To accurately check the timer you must check voltage output with a voltmeter. Over flowing washers are more often caused by a hole in the pressure hose (rodents) than by a faulty pressure-sensing switch. The valve solenoid should open and close completely. The valve receives power from the timer through the temperature switch and pressure switch. An in line bimetal thermostat is used to break power to the washer’s valve solenoids and regulate temperatures. The pump is the most common cause of a leak for this style of washing machine. If the pump is fused to the motor shaft, remove the motor with the pump attached. Strike the washer pump from behind to free it from the motor. Sometimes the pump blockage can be cleared and reinstalled. 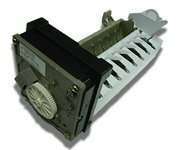 A broken washer motor coupling is the most common problem with this style of washing machine. Test the motor by using your voltmeter to check for power. Measure for 120 volts AC from the power supply wire to the white wire. How to read a wire diagram. To access the drive system you must first remove the agitator and tub nut beneath the washer agitator. Very wet clothes at the end of the spin cycle points to the washer clutch slipping. Agitating while spinning (tangled clothes) requires the replacement of the transmission. The clutch pads need to be clean of all oil and debris. Don’t forget to reinstall the clutch spacer ring. A broken rear suspension spring will allow the tub to move to far forward and water to spill behind the washer tub while filling. To replace the inner tub, remove the cabinet, agitator, and hub ring.